ITIO-MMP provides Medication Management Services designed to optimize health outcomes for individual patients. Medication use can be very complex. Patients are dealing with multiple chronic medical conditions, a number of medications, and are often seeing multiple providers and pharmacies. Pharmacists at ITIO-MMP are able to look at all these pieces to best help the patient. What is the mission and impact initiatives of ITIO-MMP? Quality Improvement Projects – To deliver the best clinical programs to our patients, we develop and implement continuous quality improvement programs to increase the clinical skills of members of our team. Long Term Care Outreach – Through interprofessional collaboration, we reach out to long term care centers to impact patients who are unable to complete a medication review on their own. Multilingual Services – Our exceptional staff are able to communicate with patients who speak a variety of languages. We also utilize translation services for less frequently available languages. Paid Pharmacy Internships – Student pharmacists enrolled in a PharmD program are eligible for paid pharmacy internships. Work opportunities also are provided to pre-pharmacy students and other interested in pharmacy as a profession. Student Advisory Board – Empowers our pharmacy interns to develop essential leadership skills. The Student Advisory Board consists of a representative from each intern class and undergraduate class. They serve as the voice of their class and meet with our management team monthly. Clinical Rotation Site – The ITIO-MMP serves as a clinical rotation site for The Ohio State University College of Pharmacy. 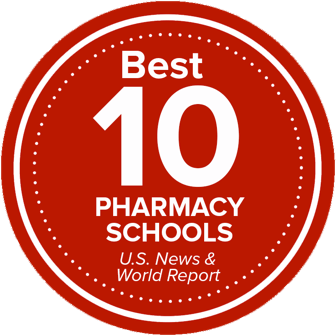 Student pharmacists strengthen their clinical skills during their advanced rotations, with a focus on ambulatory care pharmacy. Fellowship Program – We are proud to be home to a Fellowship in Managed Care/Medication Therapy Management. The fellowship focuses on development of research skills, leading to publications of articles in peer reviewed journals, and additional experiences in teaching and practice. Research – The ITIO-MMP conducts a variety of research projects to evaluate and improve medication use to ensure optimal medication effectiveness, safety, and cost reduction, leading to presentations of papers at national meetings and publications of peer reviewed articles. What are Medication Management Services (MMS)? MMS services improve patient outcomes while reducing overall health care costs. At ITIO-MMP, the services are completed in the form of a Comprehensive Medication Review (CMR) or a Targeted Medication Review (TMR). The call to complete the CMR typically takes 20-30 minutes in total and allows one-on-one time with a clinical pharmacy staff member. How does ITIO-MMP increase healthcare quality? Utilizes evidence-based treatment guidelines to ensure patients are receiving the correct medications for their disease state. Provides disease state management by educating patients about their disease, educating patients about preventative measures to slow the progression of their disease and/or avoid complications from their disease, and evaluate treatment based on lab results or test results such as fasting blood glucose, hemoglobin A1C, blood pressure, lipids, forced expiratory volume, forced vital capacity, and peak expiratory flow rate. Identifies drug-drug interactions and drug-disease state interactions with appropriate follow-up. Decreases costs for patients from consultation with a pharmacist with resultant increases in patient medication adherence and improved overall health outcomes. Educates patients about the proper timing and administration of their medications. How does ITIO-MMP reduce health care costs? Assists patients in formulary conversions. This includes talking with the patient regarding previous therapy to assess if a formulary conversion to an alternative medication or choice of another dosing schedule is preferred. Performs comprehensive medication reviews to look for unnecessary and duplicate therapy. If these are noticed, the pharmacist communicates this to the prescribing practitioner in order to discontinue unneeded medications. Decreases expenditures on morbidity and mortality from drug-related problems by better managing disease states and properly identifying drug-related problems. When clinically appropriate, works directly with patients and prescribing practitioners to titrate medications to maximum doses before adding on new medications in order to minimize the number of medications taken by each patient. A strong emphasis is given to the development of independent and collaborative patient-centered and population-based research skills in areas including assessment of clinical practice guidelines, formulary management and medication management services to optimize medication efficacy, safety, adherence, patient satisfaction and costs. For research done across collaborator MMS programs across the United States, visit the SinfoniaRx website. Silva Almodovar A, Axon DR, Coleman AM, Warholak T, Nahata MC. The Effect of Plan Type and Comprehensive Medication Reviews on High-Risk Medication Use. J Manag Care Spec Pharm. 2018 May;24(5):416-22. DeZeeuw EA, Coleman AM, Nahata MC. Impact of telephonic comprehensive medication reviews on patient outcomes. Am J Manag Care. 2018 Feb.